Boats are not only a convenient way to get around when traveling but can also provide a great way to take in the surrounding scenery. 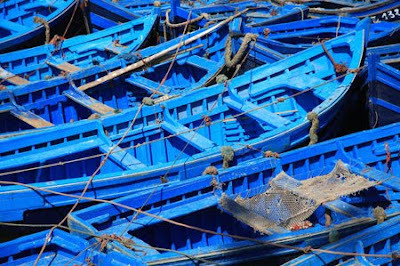 Sometimes the vessels are floating art like these Moroccan blue fishing boats in Essaouira’s Harbor. 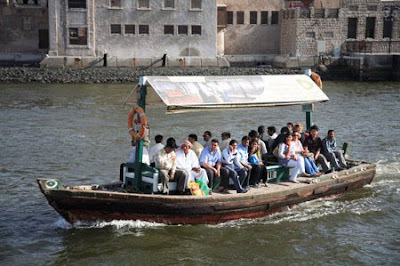 In Dubai abras or water taxis are used by commuters to cross Dubai Creek and are an inexpensive and scenic way for travelers to get around as well. 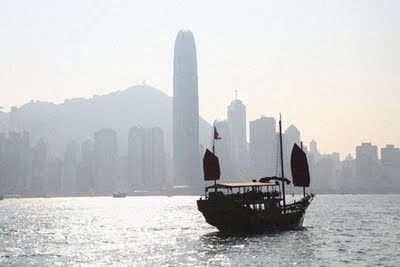 Nothing punctuates Hong Kong’s skyline like a Chinese junk floating in Victoria Harbour. 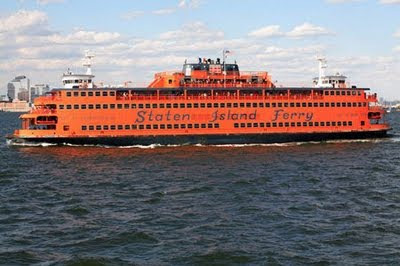 In New York City the free of charge Staten Island Ferry provides some of the best views of lower Manhattan. Where do you prefer to take a boat ride? When I was a child once I with late father used Steamer if not boat to cross river ganga. And will try boat at Rishikesh whenever I visit. I like the last one. It seems like a red-brick moving wall. I'm not a huge fan of boat rides but I will take one if it's really scenic. One of my most memorable was in St. Lucia where I got so see the legendary green flash at sunset. Not sure if counts as a boat ride or a ship ride but I like taking the ferry across the English Channel, both ways. I've done it so many times but it never gets old. Oh my, that is floating art indeed. Fascinating picture. I was in NYC last week and I did take the Staten Island Ferry! Great ride I must say!! Alas, the Hong Kong junk is merely a tourist junk, as they fell out of favour toward a faster mode of transportation. Having been in Hong Kong in the late 70's early 80's and seeing the harbour full of junks and travelling on them, to seeing this lonely tourist junk, makes my heart break. It was truly something special to see. I love boat rides, maybe since I don't get to take them too often. It's nice to have the change of pace. Istanbul is also a great place to catch some ferry rides. Hobo, I crossed the Ganga in a small boat but a steamer would be quite nice. Fly Girl, I'll take a boat ride in the Caribbean any day. BBE, most def counts. I've crossed the Channel a few times by ferry and loved it. Priyank, Hope you enjoyed your time in NYC. Tina, I love Hong Kong and would have loved to have seen it back then. The skyline would have been radically different. Anil, A ride up the Bosphorus is lovely. I love the boattrip over Tonle Sap, Siem Reap - Phnom Penh in Cambodia. 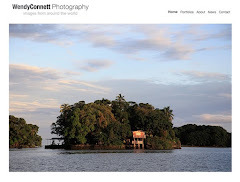 Have been there a few times, and always have to take that boattrip/ visit S.R and P.P. Have to mention my most horrified boattrip which was from Stone Town - Dar Es Salaam in Tanzania, big waves and a huge crowd throwing up, I was near to faint. It was so awful. Love the harbour crossing from Aurope to Asia in Istanbul and of course the ferry up the Thames to Greenwich. I agree with Priyank, the Staten Island Ferry is great. Especially for first time visitors in NYC. I'll never stop enjoying boat rides. So far, Greece is my favorite place to take them. One day I would love to experience a boat ride from Tonle Sap, Siem Reap to Phnom Penh like Ana had done.